Water is a finite resource that we need to survive. Clean water is important not only for drinking and cooking, but for economic development, health & sanitation, and food security. We need to protect our watersheds, lakes, rivers and groundwater from contamination and overuse for this generation and the next. So what can you do? There are a couple simple solutions that you could work into your every day life to help ease consumption and contamination. By the way, did you know that Hebron is part of the Salmon River Watershed Partnership? Click the link to see all that SRWP does to help Hebron and our surrounding towns protect our most valuable natural resource. Ready to start making changes in your daily routine? Take our Watershed Pledge and start making a difference today! Did you know... the average American uses over 100 gallons of water per day? 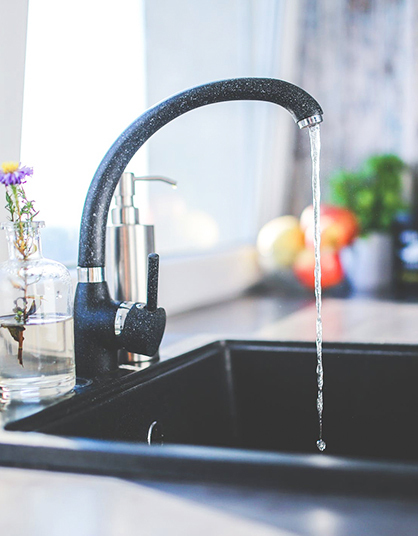 How can you conserve water in your home? Use a shower bucket. Collect water while you are waiting for the shower to heat up. Shorten showers entirely. Old showers can use up to 5 gallons per minute of water! Check pipes for leaks and get them fixed! Ever wonder how much water on average YOU consume per year? Check out the water footprint calculator. It takes HOW MUCH water to make THAT? Did you know that your cup of joe uses 35 gallons of water to produce? Find out more about this and other common household goods on the USGS site. Rain water is a great natural resource that can take some pressure off your well or our town water systems. 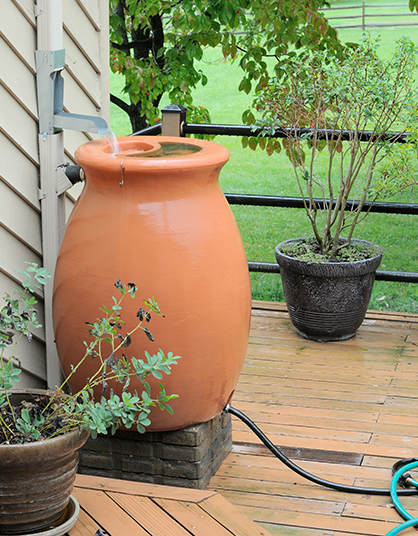 Rain Water Collection is a system that is set up to collect rain water from a rooftop, often consisting of a 55 gallon drum, a gutter downspout, a screen to keep debris out and a hose. Connecticut DEEP has prepared a pamphlet for Connecticut residents on rain barrels. Check it out! Have any water conservation tips or green ideas you'd like to see on this page? Drop us a line!